You can make great money by referring your subscribers and followers to Content Nitrous as one of our trusted affiliates. 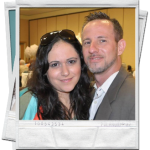 Omar and Melinda Martin are the best Internet Marketers I know. They provide immense value and they treat your customers with respect. YOU will love Content Nitrous because it’s a top seller with a carefully designed sales process that converts well. These guys know what works! John Thornhill, Planet SMS, Ltd. In addition to having a super ROBUST members area with training modules, mp3 audios, videos, pdf’s and plugin tools, the sales process offers visitors the opportunity to purchase directly from the sales page or by grabbing the free report. There is a free report and audio-course offered for to establish a relationship with the potential customer. (You can examine the free material for yourself right here in this members area) This method has proven time and time again to be extremely effective. This means that the visitors you invite to the Content Nitrous sales page will be treated with respect and VALUE. There is a high likelihood that they will purchase a membership just like you! If not on day one then after we have had time to offer them free value and build a relationship via email marketing. When they do purchase, YOU will earn a commission, each and every time! You get a massive 100% commission on all front end sales of Content Nitrous and then 50% commission on any additional products (upsells) that your referral choses to buy. All you need is your JVZoo ID which will accurately track all of your clicks and sales. If you don’t have a JVZoo ID yet, you can get one free by clicking here. Once you have your JVZoo ID you can easily customize all your affiliate tools below by simply pasting your JVZoo ID and clicking “Personalize Affiliate Tools!” We’ve made it so simple for you so that all you have to do is copy, paste, promote and EARN! JVZoo, our third party processor handles all affiliate tracking and will allow you to get paid commissions instantly by using their adaptive payment system. However, please note that if you have not promoted for us before you may be put on delayed payments until you've established credibility. To check your stats you just need to login into your JVZoo account. The goal is to get as many people to click on your affiliate link as possible. (Without spamming or black hat tactics) Ideally, you must saturate the internet with your affiliate link, the more people that see it, the more clicks you will get and the greater the likelihood hat you will make sales. You can promote this product on your blog, on social media, on YouTube or anywhere that you can think of adding content and recommending people buy the product by clicking through your affiliate link. 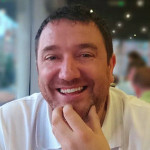 There are hundreds of ways to promote affiliate products and to get you started we have negotiated free access to an excellent affiliate training course by our good, JV partner and internationally known super affiliate Mr. John Thornhill. Click the big yellow button below and se all the tools provided on "Promo Tools" page to get lots of traffic to click on your affiliate link. We have made it a complete “No-Brainer” by supplying you with everything you need below. These are pre-written emails, blog posts, and even graphics that you can use on your websites! 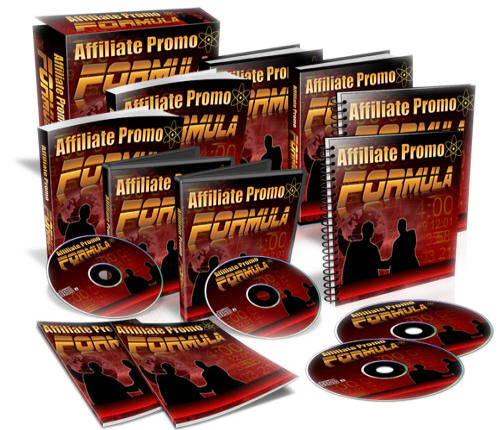 John Thornhill has generously provided FREE ACCESS to his Affiliate Promo Formula which we have personally followed to generate millions of dollars online. This training will help you make tons of Content Nitrous sales. This is a $97 product but you are getting it free here today. Affiliate Promo Formula shows you the exact methods we use to maximize commissions during a product launch and it can help you make extra commissions when you promote Millionaire Marketing Bootcamp! We've Got Your Back . BIGTIME. Since we founded our company back in 2008 we have always strived to build long lasting and profitable partnerships with our customers. We are here to help you make money on line in every way that we can. We stand behind our products and our affiliates 110%. Our main focus is to do everything in our power to make our affiliates look like heroes in the eyes of their customers.